(MENAFN - The Conversation) As Townsville residents continue the clean-up following January's flooding, microscopic fungi, commonly called mould, will be a concern for many. 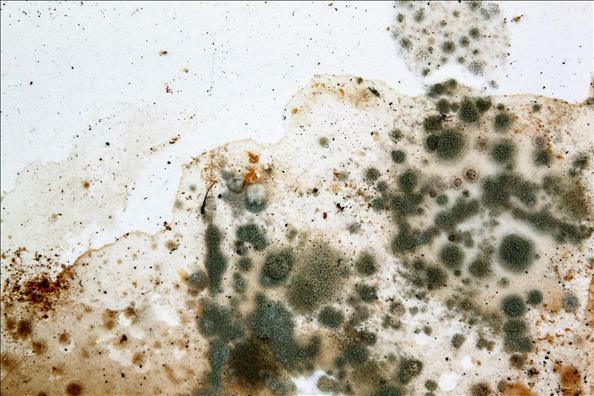 If your home has been affected by water, there are measures you can take to prevent mould from developing. And if the fungi has already started to grow, it's important to thoroughly remove it – as the presence of mould can affect our health. Left unchecked, spores from common fungi such as Penicillium and Aspergillus can germinate within 16 hours , and can grow millimetres a day. Within a few weeks, wet materials can be heavily colonised. Fungi are more attracted to materials which, at least in their original form, would have been found in the environment. So mould will readily consume many materials in our homes which used to be plants, such as timber and cardboard. But many fungi aren't fussy and will happily degrade paints and glue, and grow in dust and dirt found in carpets and insulation. Non-porous materials like ceramics, glass, metal and plastics can be relatively easily cleaned using household detergents, because the mould can't penetrate and multiply within. There's no easy fix in these cases, particularly if buildings have been left closed up and wet for several weeks. It's frequently more time and cost efficient to replace the damaged areas than attempt to scrub, bleach, vacuum and repaint an entire home. Another area we're beginning to understand more is mycotoxins – the toxic compounds produced by some fungi as they grow. Imported food products are tested for mycotoxins frequently, but it's more difficult to test their risk in indoor air. Not all fungi produce these toxic metabolites, and there's no simple test or mould colour that can tell you if you've got one of the bad ones growing in your home. It generally requires experts to sample the spores and determine what species of fungi is present. We also don't know much about the behaviour of mycotoxins in buildings – how many accumulate in different materials – or have any simple ways to remove them once they turn up. For most people with low level mould problems, mycotoxins will not be an issue. But after large scale water damage events like flooding, explosive mould growth may produce concentrations of toxins high enough to pose a risk of severe respiratory distress, bleeding from the lungs, inflammation , cognitive impairment , or cancer . Although this may sound frightening, if you're able to fix the moisture first, mould shouldn't be an issue. But it's important to be thorough. Wall cavities, roof spaces and insulation will hold onto water.